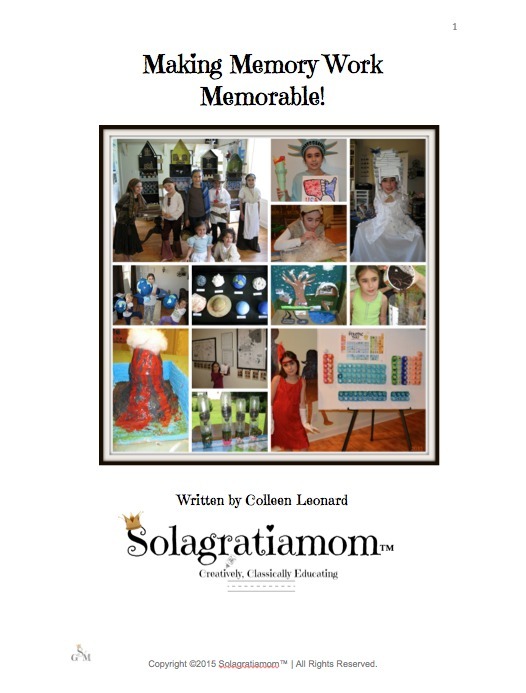 Solagratiamom: Learning About Blood and Inside Me T-shirts! 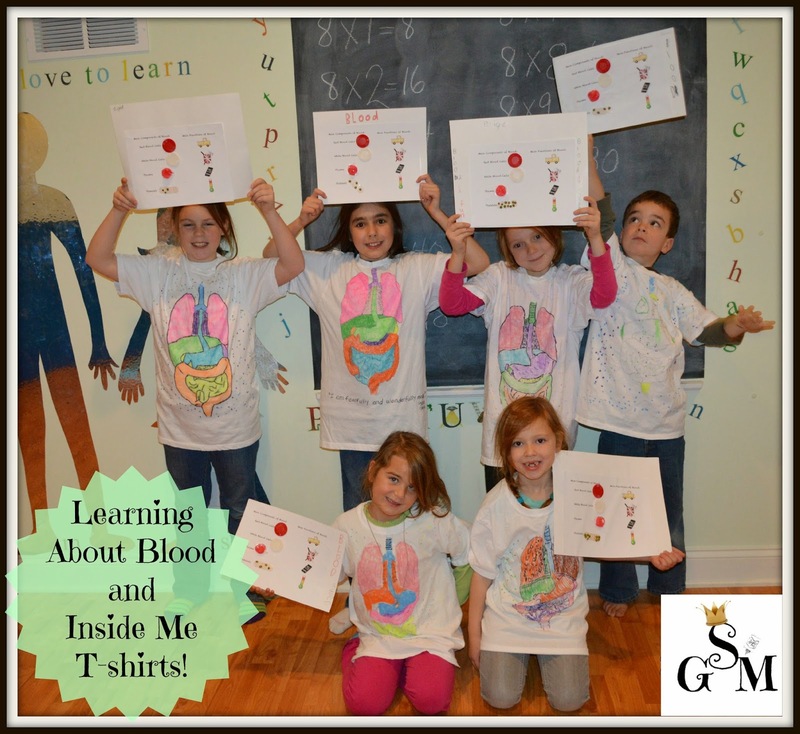 Learning About Blood and Inside Me T-shirts! Today we touched one final time on understanding what makes up our blood and what it's function is within the body, which we covered in more detail when we focused on the circulatory system a few weeks ago. 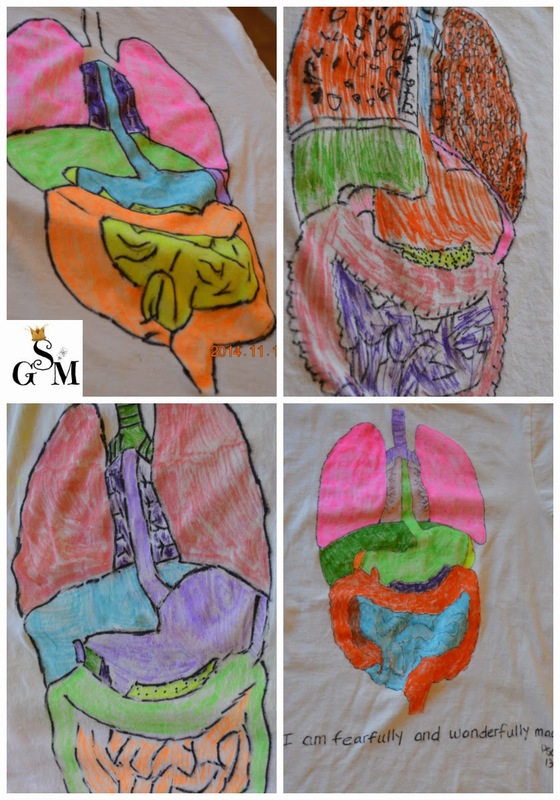 We made our own t-shirts of our internal body organs/systems to tie up our last week of anatomy studies. We ended our day with a very fun review of the previous twelve weeks of memory work via a fast paced "acting out the memory work with props" game! 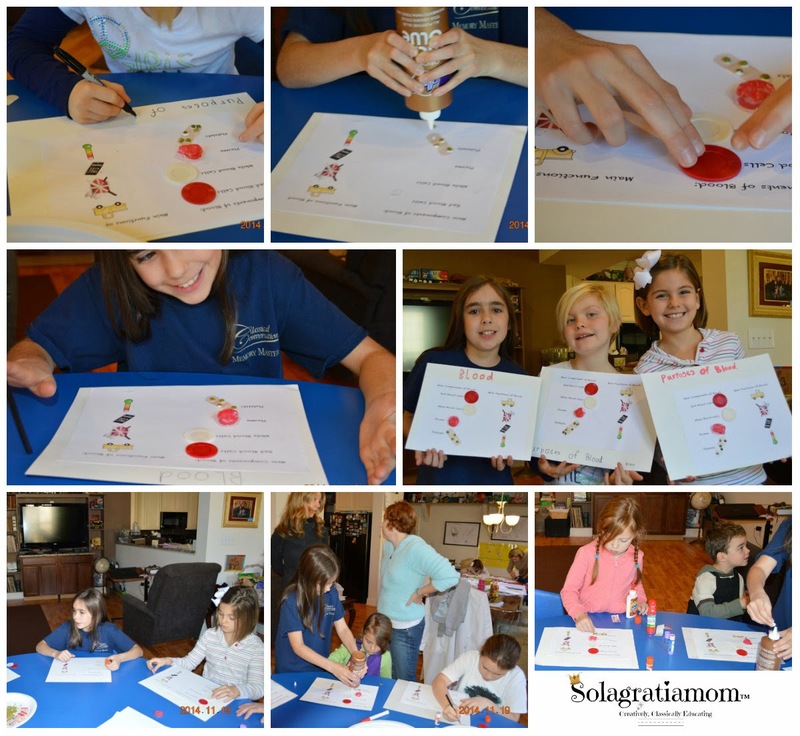 We started out by making a simple mnemonic of the components of blood with some pictures on the opposite side highlighting the function of blood within our body systems. I used red and white poker chips to represent red and white blood cells, a large packing bubble painted red to be a symbolic squishy fluid for the plasma, and a bandaid with some green split peas glued on top, to symbolize the platelets (the bandaid helping them to remember platelets stop bleeding). Next we focused in on our t-shirt and how to make them. I printed off the template from www.ellenjmchenry.com onto cardstock paper, to trace with a permanent marker onto our newly purchased and pre-washed white (Undershirt ) t-shirts. 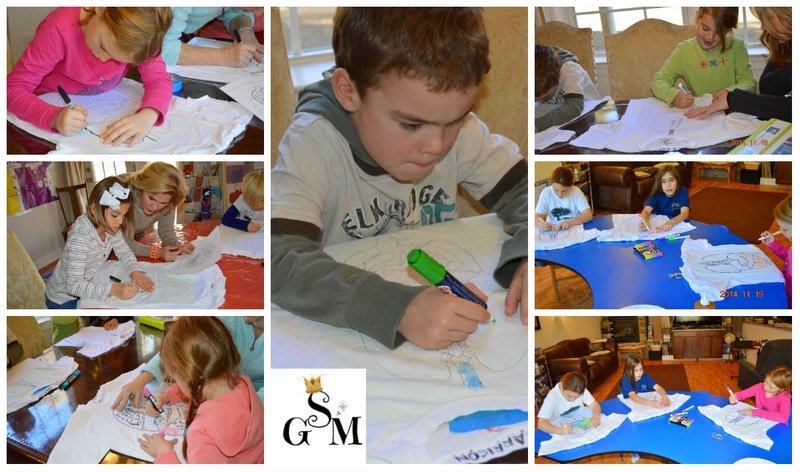 Then the kids colored in their creations with Fabric Markers until their masterpiece was complete. 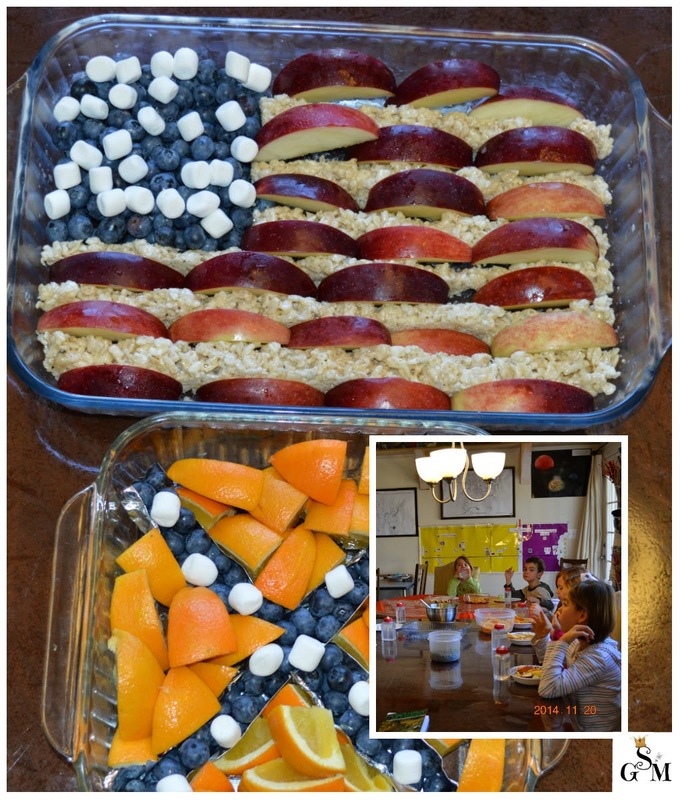 The kids worked up an appetite and dug into their snack of American and Confederate flags made from apples, blueberries, rice krispie treats, marshmallows and oranges. Clever Mommas strike again! Since we were on week 12 and getting ready for our break (with the exception of a fun Christmas party coming up!). I decided to extend our review time today. I grabbed all the hats that Sarah had from her dress up closet and threw them into a laundry basket. I stationed a creative stage Momma "back-stage" (one of my son's therapy mats stood up as a screen to create a "back-stage room") to give the kids a prop and then some clues on how to act out that piece of memory work they were going to be given. 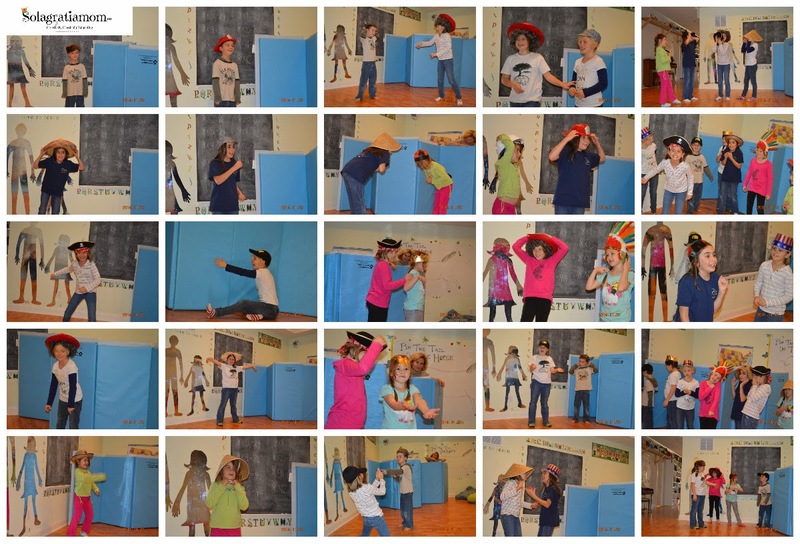 Then the kids came out to begin with one at a time and did their best impression or skit for the memory work given. Once we did a few rounds individually, I teamed them up into acting teams of two, then three and then one large grand finally group! They loved this game and had a big blast. We have some terrific actresses among our crew - it was lots of fun! All in all, it was a Wonderful Wednesday - I hope yours was too!